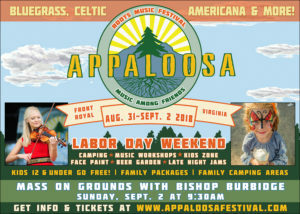 Appaloosa Roots Music Festival is a family friendly camping festival that takes place over Labor Day Weekend (August 31 – September 2, 2018) in Front Royal, VA. The festival has quickly become one of DC’s top roots music festivals and its founders happen to be Catholic. 10% of all festival profits will go to charity and Appaloosa has named The Little Sisters as a beneficiary. In addition to a large kids’ zone, face painting and free music workshops with performers, Bishop Burbidge will celebrate Sunday Mass on the grounds. Last year hundreds of people attended the mass and the collection went to The Little Sisters. 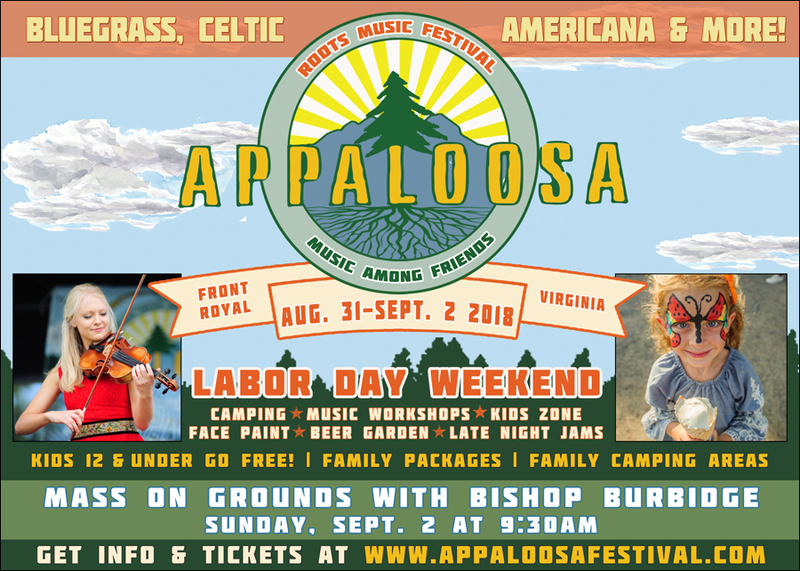 Appaloosa features the rising stars in Bluegrass, Celtic, Cajun and Americana music. Kids 12 and under go free and this year, Appaloosa has special family packages to make it more affordable for large families. Here’s a short video recap of last year’s event.